The arms race between predator and prey is as old as nature, and is a prominent selective force in evolution of species. The arms race between predator and prey is a major selective force in evolutionary change in organisms. Operating through decent with modification, nature abounds with examples of the evolutionary arms races: faster predator begets faster prey, stealthier prey begets better scent and sight in the predator, that begets, in turn, better scent and sight in the prey. Bigger, sharper predator teeth begets harder thicker shell in prey; stronger predator poison begets genetic resistance to the poison in the prey -- the list is endless, and examples extend throughout the tree of life. Or, as Richard Dawkins put it: "arms races probably account for the spectacularly advanced engineering of eyes, ears, brains, bat "radar" and all the other high-tech weaponry that animals display." The life forms that feed upon an organism are just as much a part of the environment to which the organism's population must adapt to survive as are geological conditions, ice ages or meteor strikes, etc. The prey population that fails to adapt to new weapons of the predator, risks its survival. Similarly, the predator population that fails to adapt to new defenses of the prey, risks its survival. In short: "he/she that hesitates (to adapt) is lunch". Several interesting examples of the evolutionary arms race occurred in trilobites (Arthropod Class Trilobita) over Paleozoic time. Trilobites appeared and rapidly radiated during the Cambrian, with a resulting nine Orders of trilobites and an enormous number of families by the end of the Period. Yet, the trilobites generally remained rather morphologically primitive, betraying their probable ancestral origins in Precambrian worms and basal arthropods. Throughout the Cambrian, Ordovician, Silurian and Devonian Periods, natural selection in response to environmental factors crafted many alterations in the trilobites. Undoubtedly, many of the innovative trilobite forms that were rendered were in response to new selective pressures from predators that were themselves undergoing change. 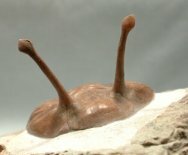 As we review (and speculate) about the evolutionary arms race between the trilobite and its predators, keep in mind that evolution does not creatively design the body parts of an organism; all that evolution can do is tinker with existing genetic sequences by amplifying those within a population that favor survival. The occasional rare and random mutation might also provide a novel feature upon which natural selection can act, propagating that feature within a population. A prominent differentiating trait of the Cambrian trilobite compared to its still enigmatic Precambrian ancestors was a calcified exoskeleton. In fact, hard shells were a fundamental adaptation among arthropods (trilobites among them) sometime around the Cambrian explosion. Whether this adaptation occurred in a single common ancestor of arthropods, or is an example of parallel, convergent adaptation across many ancestors is uncertain. What is certain is that hard shells became ubiquitous during the Cambrian explosion and endowed organisms with them a new trait providing both defensive armament and structural support. Structural support allowed selection for larger size that afforded additional protection from smaller predators. Like many other arthropods, the physical growth of trilobites required moulting, with the hard exoskeleton being periodically shed and replaced. The appearance of the trilobites in the Cambrian coincides to a time when marine environments were becoming increasingly hazardous. New and incrasingly capable predators proliferated in marine habitats. One hazard for the trilobite was the strange predator, Anomalocaris, that stalked the seas in the Cambrian Period. Today, trilobites fossils are found with what are conjectured to be Anomalocaris bites. Interestingly, the trilobites with their exoskeletons would go on to survive some 300 million years longer, while the soft-bodied Anomalocaris would quickly perish, perhaps falling victim to another larger predator. With exceptions, including trilobites that lived in deep and dark places, the trilobites of the Cambrian already had a highly advanced visual system. In fact, so far as we can tell from the fossil record thus far discovered, trilobite sight was far and away the most advanced in Kingdom Animalia at the base of the Cambrian, providing a decided survival benefit of being able to see both food, as well as other creatures for which they could become food. Much has been made about trilobite sight, including speculation that trilobites possessed the first advanced eyes. I bold the word speculation since the origins of photon sensitive cells is very ancient, dating well into the Precambrian. The G-protein-coupled receptors (GPCRs) are but one protein superfamily involved in very fundamental cell signally pathways needed for sight. The GPCRs and their signaling systems are evolutionarily very old, being present in yeast, plants, protozoa and metazoa. They are thus highly conserved, and evidence that the genomic toolbox enabling an evolutionary trajectory toward sight is very ancient. The likelihood seems small in my view, therefore, that trilobites were the first owners of fine vision. Fortey (2000, p91) used molecular clock theory to trace the origin of eyes into deep time, conjecturing that we may need to go back as far as the divergence time between the Protostome and Deuterostome animals; if valid then eyes may predate the basal trilobites by some 250 to 500 million years (also see Valentine, 1999). Nonetheless, trilobites ostensibly possessed a unique and highly advanced visual system. The eyes of vertebrates and human eyes have organic lenses using muscles to alter lens curvature and thus focal length. 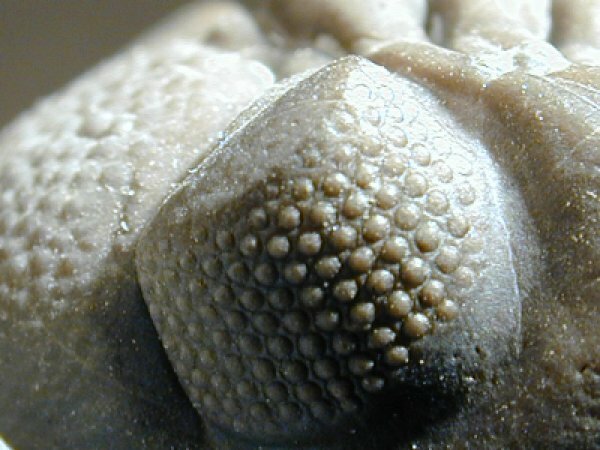 Though we have no knowledge of the soft-tissue components of the trilobite’s visual systems, we do know that the lenses of the eyes of living trilobites were unique, being comprised of inorganic calcite, or as Levi-Setti (1995) calls them, "Crystal Eyes". 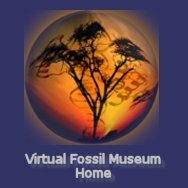 There is no other known occurrence of calcite eyes in the fossil record. This composition has also enabled the trilobite eyes to survive as exquisite fossils dating back to the earliest Cambrian. The earliest trilobite eyes were, like modern arthropods, compound eyes, comprised of repeating units, called ommatidia, each of which functioned as a separate visual receptor. If trilobite eyes were like modern arthropods, each ommatidium had a lens (the front surface of which makes up a single facet); a transparent crystalline cone; and light-sensitive visual cells. Each ommatidium was pointed at just a single area in space and contributed information only about that space. Typically, thousands of ommatidia in a compound eye are spread over most of a hemisphere, the composite of all responses of which is a mosaic image of dots, with more dots giving higher resolution of the image. Unique was the inorganic calcite composition, or as Levi-Setti puts it "Crystal Eyes". The eyes of vertebrates and human eyes have organic lenses using muscles to alter lens curvature and thus focal length. The trilobite's crystal eyes, however, had rigid lenses preventing focal length from varying. There are three kinds of trilobite eyes: holochroal, schizochroal, and abathochroal. The vast majority of trilobites had holochroal eyes that had numerous small lenses in close contact, covered by a single corneal layer covers all lenses. The trilobite Schizochroal eye was a remarkable achievement that appeared exclusively in suborder Phacopina within Order Phacopida. This eye possessed an internal optical-doublet structure together with a refracting interface (comprised of two lenses with differing refraction so they would work together) that corrected focusing - a lens design that human scientists would repeat hundreds of millions of years later. The lens system refracted light incident from any angle into the trilobite vision system. A small wall to keep refracted light from interfering also partitioned the separate lenses. The novel eyes of the trilobites were a particularly effective adaptation to underwater sight, and were ostensibly plagued by neither near-sightedness nor far-sightedness. Close and distant food and predators would be simultaneously in focus. Besides the crystal lenses of trilobite eyes, evolution also tinkered with the size and placement of the eyes, as illustrated in the examples below. Holochroal eye of a Platyscutellum trilobite. The facets exhibit very dense packing of small facets with a single corneal layer covering all lenses. The trilobite eyes are manifest evidence of the sophistication of natural selection in fine-tuning adaptation when the survival advantage is as important as sight in the ancient struggle to survive and procreate. It speaks to enormous selective pressure that must have been exerted in trilobite evolution that such a vision system would have been already well-developed in the Cambrian, and and then further refined as the Paleozoic proceeded. This is even more astonishing given that nature does not create genes from an intelligence derived blue print - rather it can only tinker with existing diversity in the genome and the occasional new ingredients provided by random mutation and sexual mixing. At least one popular book attributes the Cambrian Explosion to the development of sight at the base of the Cambrian, and also purports trilobite eyes to be the first true eyes. Both assertions are speculative. If sight is as paramount as to have been the primary selective force of the Cambrian explosion, then why do but 6 of 37 Phyla of life possess them. An infinitesimally small Precambrian fossil record, mostly ichnofossils of small, soft-bodied creatures precludes testing the hypothesis that no eyes existed then. Absence of evidence does not constitute evidence of absence. For that matter, the Cambrian explosion is still considered by a minority of scientists to be an artifact of the fossil record. Eyes abounded in the late lower Cambrian as evidenced by more than 150 arthropods of the Chengjiang biota, some sporting more than two eyes. The hypothesis of eyes being a driver of rapid evolution needs to compete with other hypotheses, such as the eukaryotic fuel supply of rising atmospheric oxygen, dramatic environmental changes favorable to life, attainment of a critical mass of new gene functions, and the emergence during the latest Precambrian of more multicellular organisms on which selection could act. Our existing knowledge base dictates caution in assertions, limited to: 1) the earliest advanced eyes known from the fossil record are in Order Redlichiida, near the base of the Cambrian; and, 2) the evolution of comparatively advanced visual sensory organs during the Cambrian may have played an important role in the appearance of new some new animal forms during the period known as the Cambrian explosion; and 3) the development of the crystal eyes in trilobites likely fostered their long, 300 year tenure before their extinction at the end of the Paleozoic; we should keep in mind the sponges and jellyfish, for example, have endured several fold longer, without the benefit of eyes. 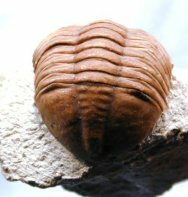 The trilobites that appear in the Cambrian had another defensive adaptation, the ability to enroll into a ball (similar to the modern-day pill bug. With the trilobite enrolled, its soft ventral underside lacking exoskeleton was not exposed, and could watch and wait for danger to abate. Over time, evolution improved the calcified exoskeleton which became more structurally complex and provided better interlocking of the opposing surfaces. This primitive arthropod and putative evolutionary cousin to the trilobite lacked discernable exoskeleton, segmentation and enrollment -- the taxon failed to survive the Cambrian. Trilobite Suborder Illaenina within Order Corynexochida is a prime example of selective adaptation for hiding or escape from the ever more lethal predators of the Paleozoic seas. One of the most conspicuous morphological characteristics of the Illaenid trilobites was a smooth and isopygous (similar in size) cephalon and pygidium, an evolutionary adaptation known as effacement. 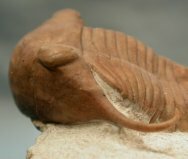 Two theories for effacement are recognized by trilobite workers. In the Illaenid, effacement could have helped the trilobites more easily burrow into sediment to achieve stealth. For example, the Russian Ordovician trilobites Illaenus schmidti and Asaphus lepidurus shown below lived in a region in which there were dramatic changes in salinity and turbidity, and the trilobites were able to make rapid (geologically speaking) evolutionary adjustments. These adjustments are thought to enabled them to see both predator and prey more easily. Asaphus lepidurus was a basal Asaphid in lineage that underwent much adaptation during the Ordovician, younger only than the founding Asaphus broggeri, that ultimately led to the dramatic radiation of the Asaphids in the region. 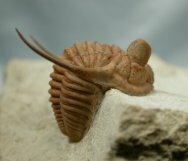 Effacement appears in several trilobite orders. The Agnostid and Asaphid trilobites are believed to have been swimmers, in which case effacement could have reduced drag, increased speed, enabling more effective feeding and escape. This Agnostid trilobite Ptychagnostus akanthodes from Cambrian Utah was a planktonic feeder. Coming from the Lower Ordovician Volhovian Level deposits near Saint Petersburg, Russia, this is a trilobite known as Asaphus lepidurus. Like the Illaenus above, the genal spines are hefty and short. This Alien-Looking Lonchodomas volborthi Asaphid trilobite from the Wolchow River region in Russia. One theory of the outlandish spines is that they served to keep the trilobite at the surface on muddy bottom of the Ordovician sea, rather like snowshoes. Another is that they served as stabilizers as the trilobite swam in the water column. Or, were they defensive weapons? To what purpose could such an impressive array of spines be put? Simply stated: DEFENSE. This trilobite afforded a spiny mouthful for any predator from any angle of attack. Notice the scimitar-shaped cephalic spines, shown here to good advantage, arched over the thorax. If the trilobite enrolled, these dramatic lances might prove a deterrent to a would-be predator. Armatus means armed; to what purpose could all these spines be put? Fish had just recently evolved true jaws, and the armament here was a response to predation pressures. There are fully 90 spines preserved here, making this a wonderful example of an evolutionary salvo in the predator/prey arms race. Clarkson, E. N. K., Palaeontology, 16, 425–444 (1973). Clarkson, E. N. K., and Levi-Setti, R., Nature, 254, 663–667 (1975). Levi-Setti, R (1993), Trilobites, Chicago, IL: University of Chicago Press. Shawver, LJ. (1974), "Trilobite Eyes: An Impressive Feat of Early Evolution," Science News, 105:72. Trilobites Family Album - Trilobite eyes and evolution of sight, retrieved February 7, 2014. Valentine JW, Jablonski D, and Erwin DH. (1999) Fossils, molecules and embryos: new perspectives on the Cambrian explosion, Development, 126(5) 851-859.